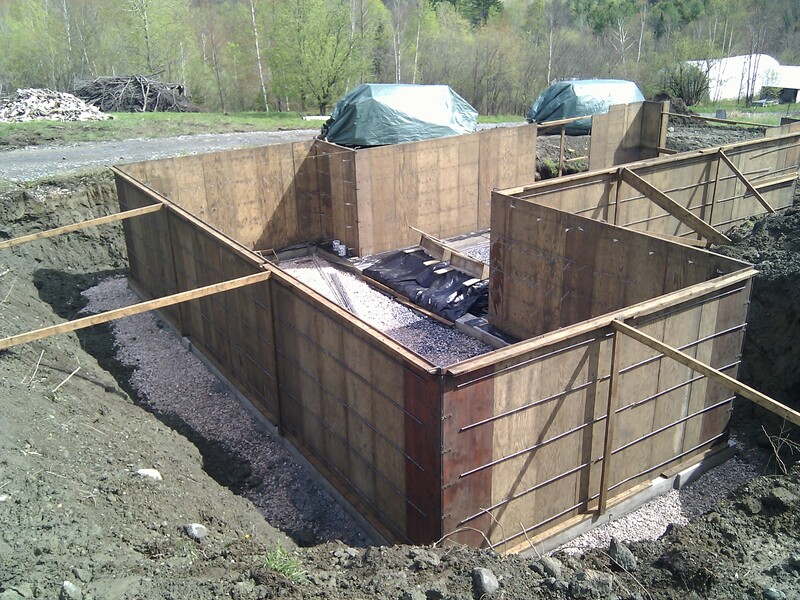 Forms in place for foundation walls to be poured. Lots of stone under and around the footings for drainage. The foundation was the only piece of the house that we did not build ourselves.